What is a salon concert? It's a concert in your living room or place of business. 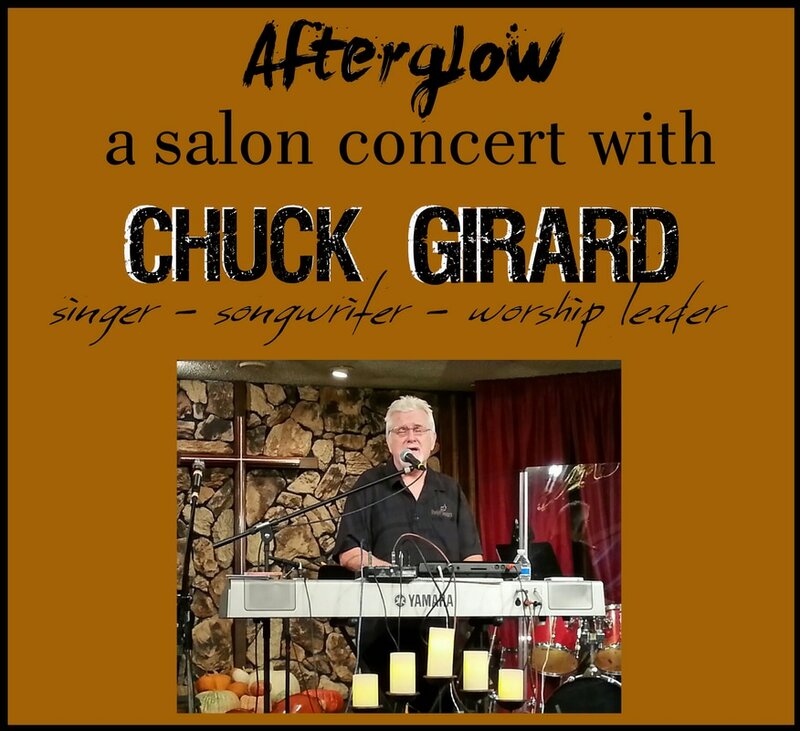 This is an invitation for you to host an intimate evening with Chuck Girard. Many of us remember him from his role in Love Song, one of the earliest bands in CCM history, and his iconic solo albums. Consider hosting an event at your home or business. Just supply the room, ample to accommodate 10-30 people. Supply chairs, and optional snacks/food if you so desire. Get the word out to your friends, post on social media, and we'll do the rest. Only the cost of renting few chairs if you don't have enough, and the cost of optional snacks. Chuck comes for a love offering. We will supple the sound system, keyboard and all other equipment. These salons currently offered only to the Northern Calif. area, so there will be no transportation or lodging costs. CAN I HOST A SALON OUTSIDE OF CALIFORNIA? This is a new experiment. We are open to events outside Calif, but obviously, costs would be incurred for transportation, lodging, etc. We also would not be able to provide PA or keyboard. A salon could be added to a church event where Chuck would already be in town for church on Sunday and do the salon on Sat. night. Or it could go the other way, and a church could be booked as an add to the salon. If you have a desire to discuss options, call Paul Coca at the number below. Hear such songs as "Sometimes Alleluia", "Little Pilgrim", and "Lay Your Burden Down" up close and personal. Request your favorite songs and hear awesome stories and recollections in the relaxed environment of your own home. Expect a time of worship!! Call Paul Coca at 209/914-7441 for available dates and details.